Our favorite dinners are made of soups and salads and we often try out various versions of the same to beat the monotony. 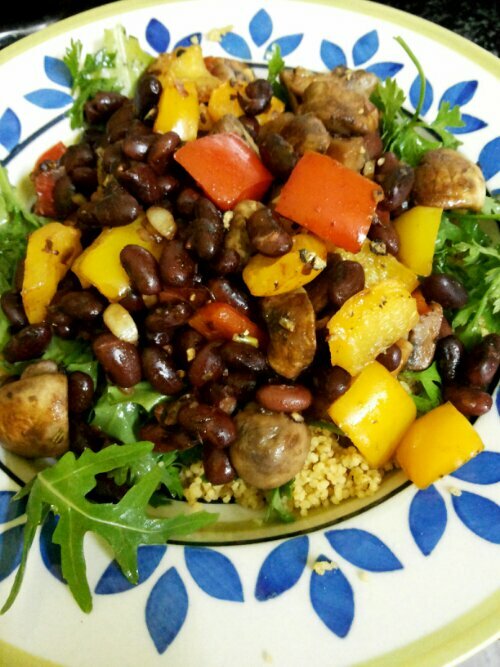 It just helps to know there are myriad of different ways to rustle up a salad and it is quite easy to bring in variety with tastes and textures. Both of us love the mild mediterranean flavours and this salad hits the right spot all the same. I picked up ingredients that were readily available and tried to dabble with textures. Soak couscous in warm water for 5 mins, or as per instructions on the pack. 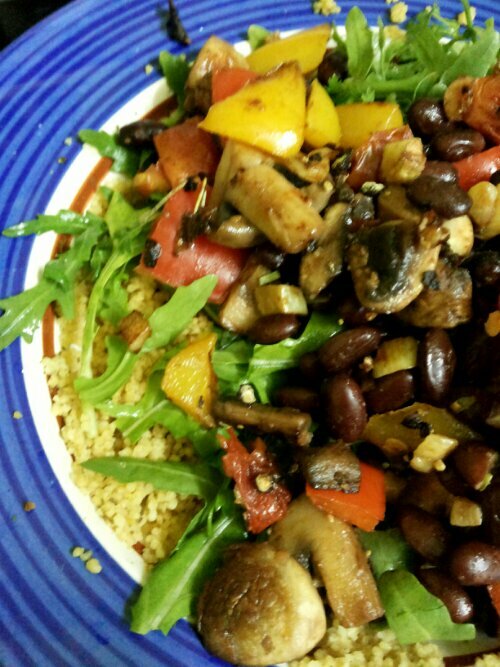 Layer the couscous at the base of the bowl, followed by the beans, bell peppers, mushrooms, rocket leaves. Prepare a dressing with olive oil, lemon juice and zest, salt and pepper. Top with shavings of the smoked cheese.